Get an insider look at these unique places to visit in Mexico with a guided tour from Vallarta Adventures through historic mining towns and artsy beaches. We’ve rounded up a list of some of the most unique places to visit in Mexico so you’ll be able to discover something new and exciting for your next vacation. Vallarta Adventures offers guided tours to all of these places, which means you can get an insider look and learn all about the history and culture of these mountain and beach locales. Find out what makes these historic gems the best-hidden places in Mexico. Take a ride along beautiful winding roads through lush tropical vegetation to a historic town tucked away in the Sierra Madre mountain range. San Sebastián del Oeste is one of the best-hidden places in Mexico, and one of the most well-preserved towns, dating back to 1605. It was settled by silver miners hoping to cash in on some of the region’s precious natural resources. View the incredible architecture of the buildings that still stand today, and learn more about the rich heritage and culture found in this living gem of Mexican history. Our friendly and knowledgeable local experts will guide you on this tour right in the middle of San Sebastián del Oeste, where you’ll have time to explore the town’s historical landmarks. You’ll also learn about San Sebastian’s days as a colonial town in the 1700s. This walking tour is unrivaled when it comes to spending a day immersed in history and authentic Mexican culture in a town that is tucked away from busy tourist destinations. The Talpa & Mascota Tour takes visitors to two of the most unique places to visit in Mexico. These mountain towns have been honored with the title of “Pueblos Magicos,” or magical villages, because they are among the most beautiful, and were a crucial part of the country’s rich history. These centuries-old mining towns are located in the Sierra Madre mountains and are found at the end of a beautiful scenic drive. Once there, the walking tour will take you to each town’s landmarks. The tour begins in Mascota, which is full of historical landmarks but is home to only 10,000 people. You’ll have plenty of time to wander through the iconic town square, stop at the market, and try hand-made tortillas and candy from local shops. Tour guides will entertain you with stories of the historic town and will also tell you about the church that took over 100 years to build—and is still incomplete. The next stop is the nearby town of Talpa de Allende or Talpa for short. Talpa is famous for its large church and beloved virgin, Rosario de Talpa, and also for its candy factories. The air is filled with sweet smells that follow you as you encounter beautiful vistas and welcoming residents. The cool and colorful beach towns of Sayulita and San Pancho, north of Vallarta, will make you want to stay as long as possible and bask in their beauty. Be sure to check out some of the local art and try the delicious food while you’re there. You can opt for a scenic hike between the two cities if you choose, but we recommend the tour because it allows more time to explore these culture filled hot spots. Sayulita is known as a surfer’s paradise and is a great place to party. Music fills the air and shops line the streets. Do some shopping, grab a drink, and join the fun! San Pancho is a thriving art community, complete with a children’s art center (Entreamigos), library, and performance space. You can also catch a game of Polo at La Patrona Polo Club or check out the birds at the estuary. At Vallarta Adventures, we employ the best local tour guides who have intimate knowledge of the history and culture of the locations they take you—ensuring you’ll always have an authentic and exciting experience. 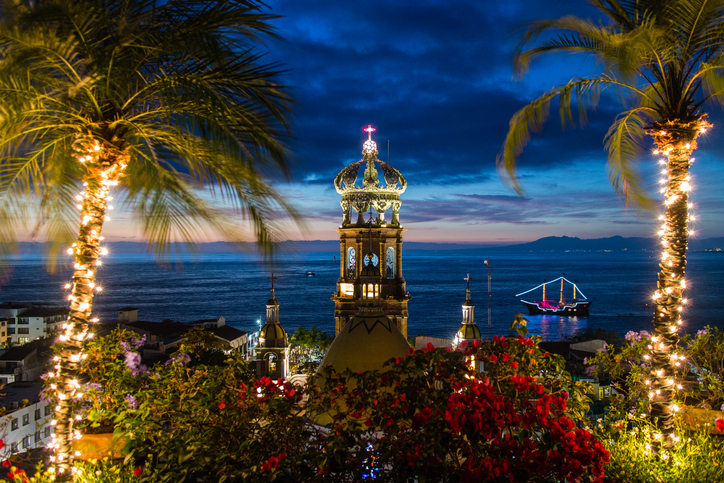 We offer both private and non-private tours to various Vallarta locations. Check out our other amazing tours and don’t forget to ask about visiting the best-hidden places in Mexico. Start planning your next unforgettable vacation and book some Vallarta Adventures cultural tours today!